Feedback has always been a crucial element of the educational training process for resident doctors, but the recent emergence of competency-based medical programs has really emphasized the importance of effective, performance-based feedback. Receiving detailed, constructive, and prompt feedback is imperative to a resident’s professional growth – but how can clinical educators be sure their feedback is helping maximize learners’ potential? For those involved in observation and feedback sessions in medical education, ICRE 2015’s pre-conference workshop Ten Ways to Provide Effective Feedback to Residents is a can’t-miss professional/faculty development opportunity. Led by Lia Fluit, PhD, MD, MSc, and Corry van Rooijen, Msc of Radboud University Nijmegen Medical Center (Nijmegen, Netherlands), this practical and timely workshop will teach participants about evidence-based conditions for effective feedback; how to provide feedback using different methods; and discuss the pros and cons of different strategies for providing feedback. 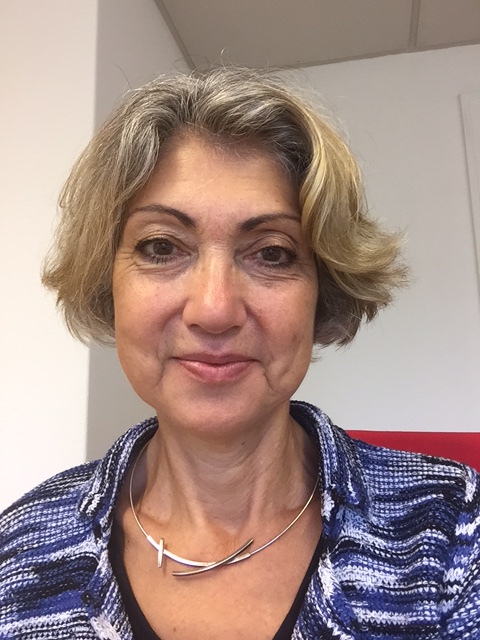 Dr. Lia Fluit is head of the Center for Learning Research and Education at Radboud University Nijmegen Medical Centre, Nijmegen, Netherlands. Q: Feedback is a powerful tool in education, but with the emergence of competency-based medical programs, will this change? In what ways will it change? Feedback was, is, and will stay a powerful tool for education. A competency-based curriculum needs feedback more than ever before, because with feedback, learners are informed about their competencies, and about the ways in which those competencies need development. Lifelong learning is an essential attitude for healthcare professionals, and reflection and feedback are the most important interventions for fostering this learning. Q: Teachers have often relied on Pendleton’s rules for feedback, which help trainers provide balanced feedback to trainees by concentrating on the ‘positive’ first. Will this method continue to be applicable in a competency-based system? Pendleton’s rules are not the only method for providing effective feedback: They can help to structure evaluations, but the content; receiver; relation between receiver and provider; and culture all play an important role. I think that Pendleton’s rules can still be used in a competency-based curriculum, however – when applied in the correct way, this feedback strategy lets the trainee understand what can be improved, and how. Q: How can clinician educators ensure they are giving effective feedback? You can never be completely sure that any feedback is effective, since many factors can influence its success. What can be helpful, however, is for educators to try and ensure that feedback is more trainee-centred. What I mean by this is that the trainee should take the initiative to ask for feedback, and to formulate goals. Once feedback has been relayed, clinician educators can then ask the trainee how helpful the feedback was, and how they might improve in terms of giving feedback. Q: Why is it so important that clinical teachers provide effective feedback? At the end of the day, we train our residents to deliver good healthcare, and feedback is an essential element in the successful training of doctors. Furthermore, I think providing, receiving and asking for feedback are important competencies for every healthcare professional. By learning how to provide effective feedback – and teaching residents how to receive and ask for feedback – we contribute to lifelong learning and improvement for ourselves and our colleagues. By emphasizing the importance of feedback, we contribute not only to the quality of our training programs, but to the overall quality of healthcare. Q: What do you hope participants take away from your workshop? I do hope that educators and residents alike will realize there are a variety of ways to provide feedback, and that the receiver of the feedback plays an important role in the process. When designing training programs, educators must also think of how to create a stimulating feedback culture – something that I hope we can have a lively conversation about during the session.